The Guildmasters' Guide to Ravnica compendium, allowing you to search every rule, character option, spell, item, monster and piece of lore, both in-app and out. 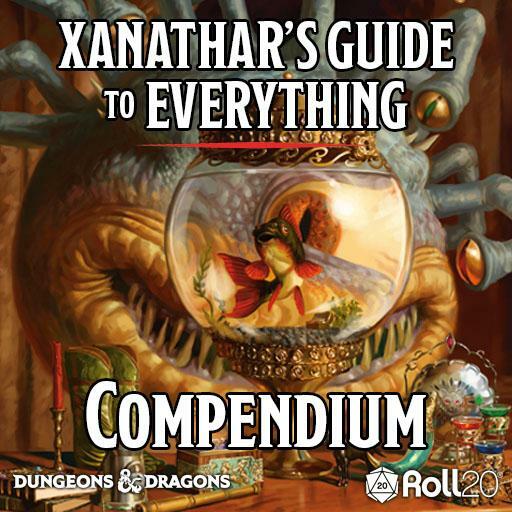 Utilize Compendium Sharing to share the book around the table. New background options for each of the 10 guilds, integrated into the Roll20 Charactermancer. 8 races integrated into the Roll20 Charactermancer. Over 40 new monsters ready to drag and drop into your games with 1-click actions. New magic items ready to be dragged and dropped directly onto your character sheet. Game Setting & Map addon. Add the precinct, overland city, and guild maps and related information into any of your games. The 1st level adventure, “Krenko’s Way”, fully converted for instant play, with dynamic lighting and support for advanced fog of war. Bonus character art pack featuring tokens and art from the book to use with any of your characters. 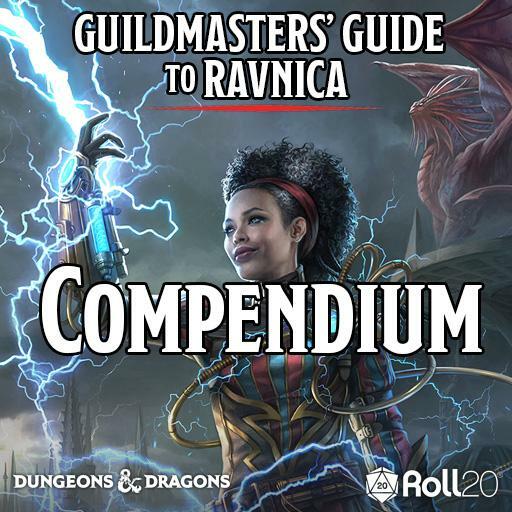 Compendium: You can now access all of the rules, creatures, information and lore from Guildmaster’s Guide to Ravnica in the in-app compendium, as well as on the Roll20 web compendium. Adventure & Map addons: On your game page, expand the Game Addons section. Here you will find a dropdown list of all the addons you own. 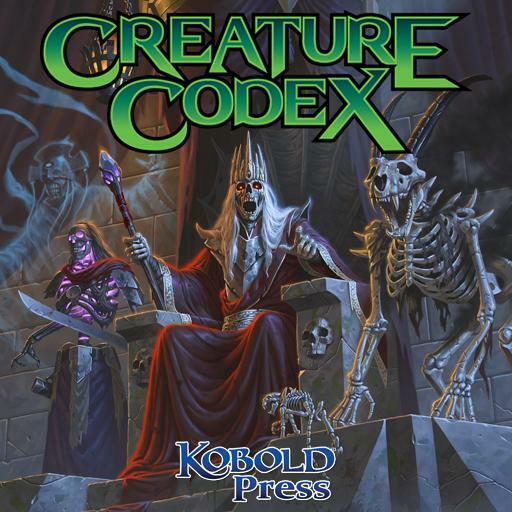 Select either "Guildmasters' Guide to Ravnica (Krenko's Way)" or "Guildmasters' Guide to Ravnica (Game Setting & Map Addon)" and click "Add to Game". Your content will then be added into the adventure module. You can find expanded instructions on activating addons here. Token & Art pack: To access the art content, simply search your art library for the Guildmaster’s Guide to Ravnica Token & Art Pack folder. 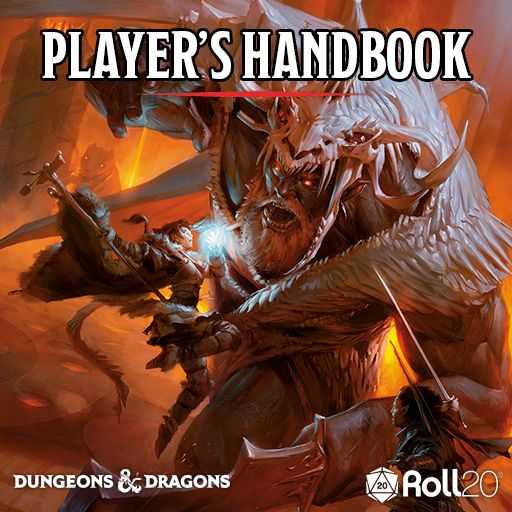 All Wizards of the Coast licensed content on Roll20 uses the D&D 5E by Roll20 sheet. I think something’s wrong with my compendium! What do I do? If you’re having any technical issues with Guildmaster’s Guide to Ravnica, please let us know in our bug reporting thread! D&D, Guildmasters’ Guide to Ravnica, Dungeons & Dragons, Magic: The Gathering, their respective logos, and Wizards of the Coast are property of Wizards of the Coast LLC. ©2018 Wizards. All Rights Reserved.